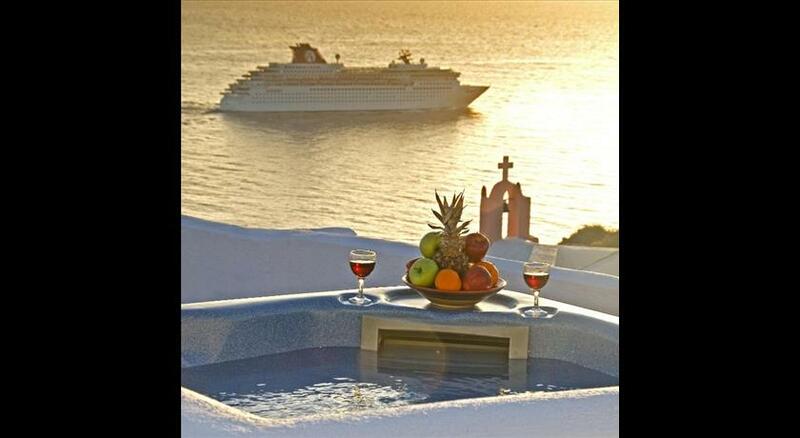 Welcome to Enalion Suites and the gorgeous village of Oia in Santorini. 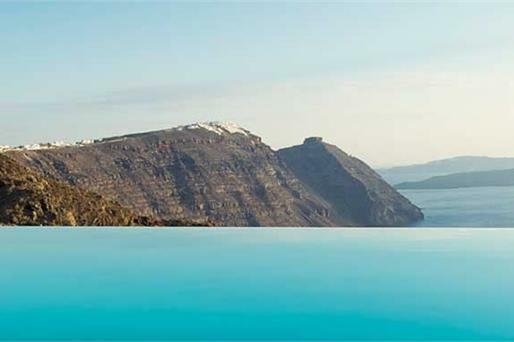 Three brand new suites built on the most famous caldera in the world, the unique Santorini caldera. 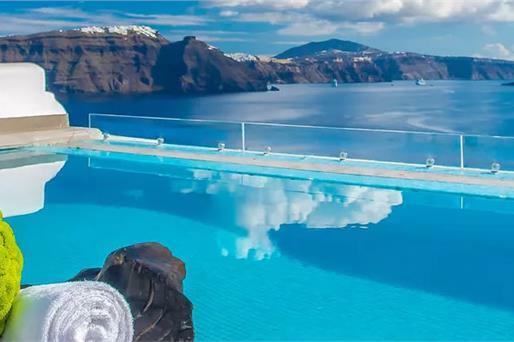 Enjoy the tranquility and the splendor of the landscape, the sea and the volcanoes along with all the modern facilities that Enalion Suites in Oia, Santorini offers. 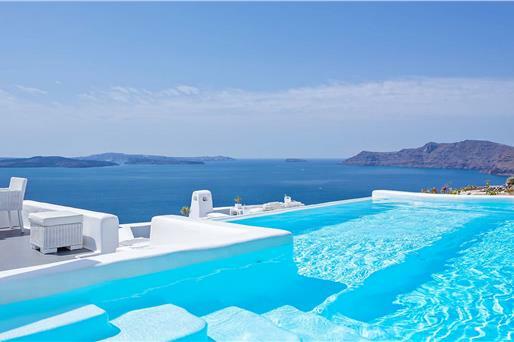 The suites of Enalion are built following exactly the traditional architecture of the island, creating spaces with refined aesthetic and authentic Santorini beauty. The three cave suites with the unique lines, the stylish decoration and the comfortable surroundings are located at a point of the caldera that offers you peace and quiet. 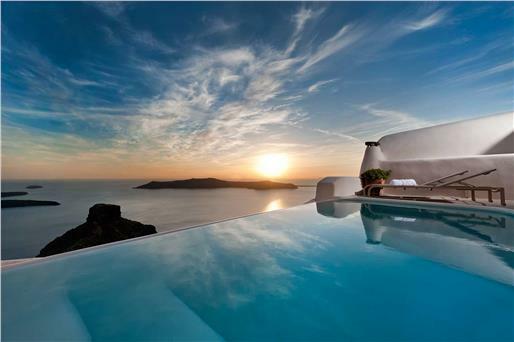 Built on Santorini ’s caldera , Enalion boasts a privileged location 200 metres from the centre of Oia . 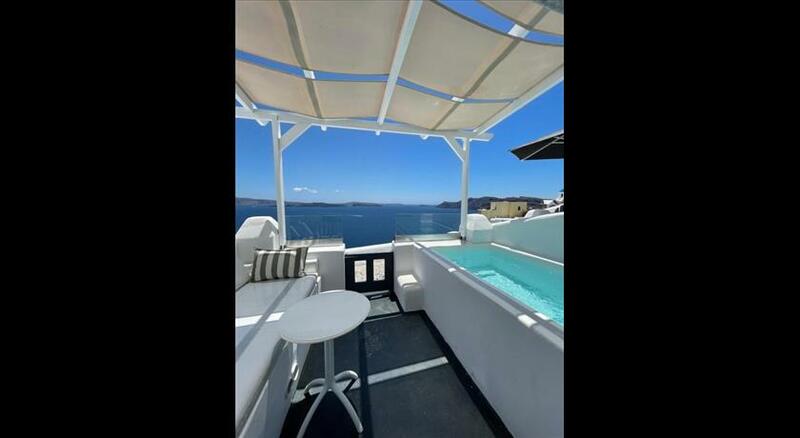 Featuring 2 shared outdoor hot tub s, it offers traditionally furnished suites with arched ceilings and views over the volcano. 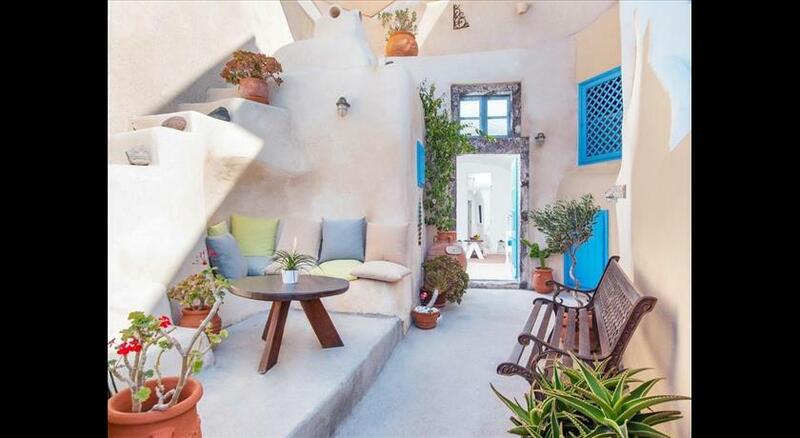 The cave-style Enalion suites come with wooden-carved furnishings and open out to shared balconies. They include a kitchenette with dining table and a living area with flat-screen, satellite TV. In the en-suite bathrooms, you will find free toiletries, bathrobes and slippers for extra comfort. 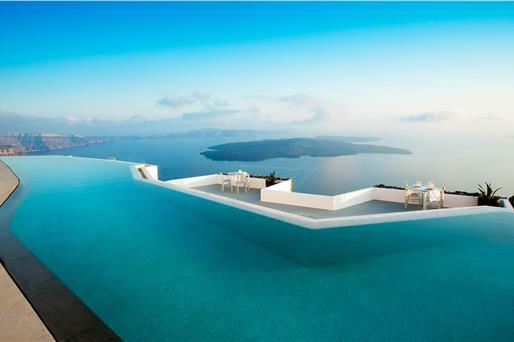 The airport and port of Santorini are both 17 km away. Within 100 metres, you will find a bus stop, as well as the nearest restaurant. 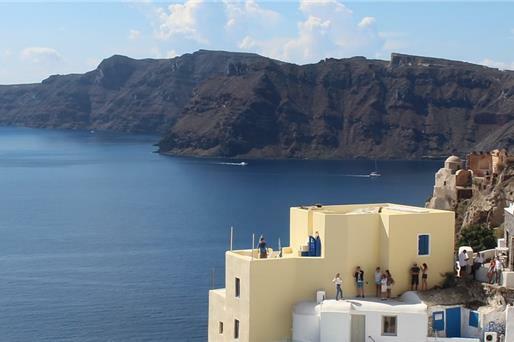 The lively town of Fira is 10 km away. Free Wi-Fi is available throughout the property and free parking is possible nearby. Taken from a drone fly over that shows the hotel from above. 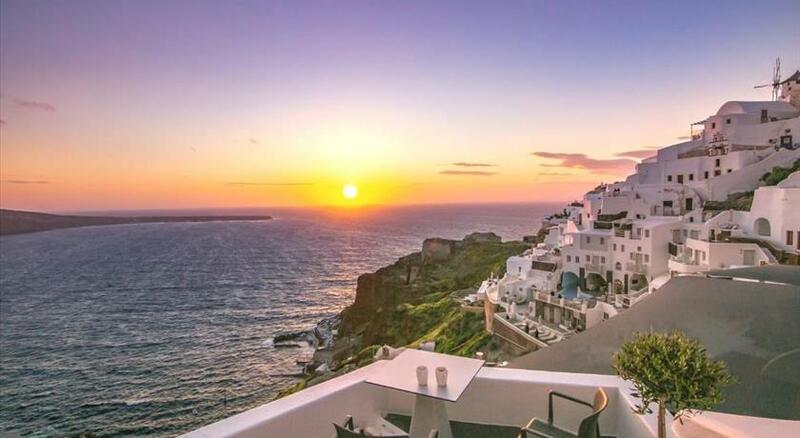 Enalion Suites is located in Oia's caldera. Children older than 10 years are welcome. Extra beds are not available. There is no capacity for cots in the room. Please inform Enalion Suites in advance of your expected arrival time. You can use the Special Requests box when booking, or contact the property directly with the contact details provided in your confirmation.